The Belitung shipwreck (also called the Tang shipwreck or Batu Hitam shipwreck) is the wreck of an Arabian dhow which sank en route from Africa to China around 830 CE. The ship completed the outward journey, but sank on the return journey, approximately 1 mile (1.6 km) off the coast of Belitung Island, Indonesia. It is unclear why the ship was so far from its expected route back from China. Belitung is to the south-east of the Singapore Strait by 380 miles (610 km), and this secondary route is more normal for ships travelling from the Java Sea, which is south of Belitung Island. The wreck has given archaeologists two major discoveries: the biggest single collection of Tang dynasty artefacts found in one location, the so-called "Tang Treasure"; and the Arabian dhow, which gives a new insight into the trade routes between China and the Middle East during that period. The treasure has been kept as one collection and, during the excavation, the efforts to preserve the integrity of the site and its cargo have resulted in detailed archaeological evidence. This evidence has given new insight into the construction methods used in shipbuilding, and the items and style of artefacts has revealed previously unknown facts about the trade between the two areas. 3 Cargo and "Tang treasure"
The wreck was discovered by fishermen in 1998 in the Gelasa Strait in 51 feet (16 m) of water. The site location was purchased from local fishermen and a license to engage in excavation was awarded to a local Indonesian company. [nb 1] The dig was subsequently financed and excavated by Tilman Walterfang and his team at Seabed Explorations, under a license of co-operation with the original salvage company, and after a request from the Indonesian Government; security was provided by the Indonesian Navy. The excavations spanned two expeditions, one which commenced in August 1998 and the second in 1999. Seabed Explorations provided vessels and financed government naval operations to safeguard the wreck site before and during the monsoon season. It is unclear why the ship was so far from its expected route (shown in red on the map to the right), as most ships leaving China for Arabia would have sailed through the South China Sea. They would then turn north-west after passing southern Vietnam, continuing through the Singapore Strait into the Straits of Malacca between Peninsular Malaysia and Sumatra. Belitung is some distance from this route, and it is unclear how the vessel came to be in this area. Belitung is to the south-east of the Singapore Strait by 380 miles (610 km), and this secondary route is more normal for ships travelling from the Java Sea, which is south of Belitung Island, to the Strait of Malacca 380 miles (610 km) north of the Island. The wreck timbers were found under a sediment that preserved the remains of the wooden vessel, without which the wreck would have been lost due to marine worms. Wrecks of this age are rare finds and this particular one was in such a good condition that much of the hull was preserved. This has given us an insight into how ships of this period were constructed—something which has not been seen before as no Arabian ship of this type had previously been found, nor any with their cargo intact. Pieces of the original timbers were preserved enough to allow scientists to analyse them and determine some of the types of wood used. It is possible that the ship was constructed in western Asia and bought by Arabian merchants to be used for the Oman to China route; the cargo contains many Arabian-inspired artefacts. The ship was constructed around a 15.3 metres (50 ft) long keel of 14–15-centimetre (5.5–5.9 in) thickness, which is believed to have survived intact. The front of the ship had a 61° angle of rake at the bow where the stem post was joined to the keel with mortise and tenon joints and secured with 16-millimetre (0.63 in) diameter rope. The hull planks were stitched onto the frames and keel through holes spaced at 5–6-centimetre (2.0–2.4 in) intervals. The boat had a keelson for added strength, which rested on the half-frames. Michael Flecker, the chief excavating archaeologist at the site, compared the wrecked ship to three types of the same period and concluded that the wreck most resembled "lashed-lug" ships of south-east Asia—first used in the 5th century. He said that fully stitched boats were found from the African coast, Oman, in the Red Sea, on the Indian coast, and as far as the Maldives. He notes that Roman references by Procopius in the 6th century tell of boats with planks stitched together in a similar fashion used in "Indian Seas". Though Arabian ships of this type have not been found before, they are mentioned in text including the late-Tang Ling biao lu yi ("Strange Things Noted in the South"). According to John Guy, curator of the Metropolitan Museum of Art, the book "describes the ships of foreign merchants as being stitched together with the fiber of coir-palms and having their seams caulked rather than using iron nails to secure their planks". Samples of wood from the shipwreck were sent for analysis at the Forest and Forest Products division of the Commonwealth Scientific and Industrial Research Organisation (CSIRO) in Australia. The analysis was conducted by Jugo Ilic of CSIRO, a wood identification specialist. Many of the samples were too badly deteriorated to be positively identified, as the lack of cellulose remaining in the wood cells prevented successful analysis. Many types of wood have been positively identified: teak (Tectona grandis) was used for the through-beams and is resilient to the teredo worm (of the family Teredinidae), the ceiling was made from a genus Cupressus tree which was possibly Cupressus torulosa, the stem-post is made of rosewood from the family Leguminosae (now called the Fabaceae) and either the genus Dalbergia or Pterocarpus. The wooden box found in the stern area of the shipwreck was made from the genus Artocarpus of the mulberry family, Moraceae. The species used for the hull planks was not positively identified but is thought to be Amoora of the family Meliaceae. The timber for the frames was similarly not definitively determined, although one frame was probably of Amoora or of the genus Afzelia of the family Fabaceae. Afzelia is interesting in that the three main species A. africana, A. bipindensis and A. pachyloba are mostly found in a small part of Africa, stretching from the mid-western coast in a thin band towards the east coast and stopping short of it by a couple of hundred miles. Present-day knowledge of the original materials and methods used in construction of this particular Arab dhow stems largely from the shipwreck itself. The Jewel of Muscat reconstruction, a replica made as an exact copy of the wreck, has shown that the ship resembles a baitl qarib, a type of ship still found in Oman today. Amongst the hull of the shipwreck were large lumps of concretion containing artefacts from the ship's cargo dated to the Tang dynasty of China around 800 AD, and from where the wreck gets its other names, the "Tang shipwreck" or "Tang treasure ship". The ship's timbers and artefacts were shown to the public for the first time in 2011. The world debut exhibition of the collection of artefacts, as well as timbers from the ship, took place in the ArtScience Museum, adjacent to Singapore's Marina Bay Sands. The significance of the discovery of the shipwreck led to the decision to construct the Jewel of Muscat as an exact reconstruction of the shipwrecked dhow. The wreck held three main types of "wares" in the form of bowls: Changsha ware (produced in kilns in Tongguan), the majority of the 60,000 items, were originally packed in either straw cylinders or "Dusun" storage jars; White-ware, manufactured in the Ding kilns and including the earliest known intact underglaze blue and white dishes; and Yue ware from Zhejiang Province. One Changsha bowl was inscribed with a date: "16th day of the seventh month of the second year of the Baoli reign", or 826 AD. This was later confirmed by radiocarbon dating of star anise found amongst the wreck. The cargo had a surprising variety of influences and markets, including Buddhist lotus symbols, motifs from Central Asia and Persia, Koranic inscriptions, and green-splashed bowls popular in Iran. Included in the cargo were items of varying purposes, from spice jars (martaban) and ewers to inkwells, funeral urns and gilt-silver boxes. The cargo was described by John Guy of the Metropolitan Museum of Art in New York as "the richest and largest consignment of early ninth-century southern Chinese gold and ceramics ever discovered in a single hoard." The cargo also included spices and resin, and metal ingots used as ballast. There were also special items found which include a gold cup—the largest Tang dynasty gold cup ever found—and a large silver flask decorated with a pair of ducks. The gold cup has pictures of people in various actions on its sides, such as musicians and a Persian dancer. It also has images of two men on its thumb plate with features that appear to be non-Chinese, as they are depicted with curly hair. Tilman Walterfang's company formed a contract of cooperation with the original Indonesian salvage company and as a result the cargo was not sold off piece by piece to collectors. Although there were instances of some looting from the site, particularly between the two excavation periods, Walterfang kept the cargo intact as one complete collection so that it could be studied in its original context; something which has given an "unparalleled insight into China's industrial capacity and global trade" according to Julian Raby, director of the Arthur M. Sackler Gallery. It was housed in a private conservation facility for six years, where the artefacts were painstakingly conserved (including desalination), studied, and carefully restored by Walterfang's company, Seabed Explorations Ltd of New Zealand. The work was carried out with the assistance of German conservator Andreas Rettel, who trained at the Römisch-Germanisches Zentralmuseum in Mainz. The artefacts were authenticated by Professor Geng Baochang, a senior research fellow at the Palace Museum in Beijing. Geng is the deputy director of Beijing's Forbidden City and one of China's foremost experts on antique ceramics. The cargo was purchased for around 32 million USD by a private company, the Sentosa Leisure Group (now the Sentosa Development Corporation), and the Singaporean government in 2005, and loaned to the Singapore Tourism Board. The debut exhibit of the treasure ran from 19 February 2011 to 31 July 2011 at the ArtScience Museum in Singapore. The display was put on with the collaboration of the Smithsonian Institution, The Freer Gallery of Art, the Arthur M. Sackler Gallery, the Singapore Tourism Board, and the National Heritage Board of Singapore. The exhibition was then scheduled to travel the world for approximately five years, to venues which include museums of major importance throughout Asia, Australia, Europe, the Middle East, and the United States. In April 2015, it was announced that the Asian Civilisations Museum would house the Tang Shipwreck collection. The treasure has now found a permanent home, as the Tang Shipwreck, in the Khoo Teck Puat Gallery of the Asian Civilisations Museum, in Singapore. The Sackler Gallery, part of the Smithsonian Institution, was due to host the US premiere exhibition of the Belitung cargo in early 2012—a date set to coincide with the Smithsonian museum's 25th anniversary celebration. On 28 June 2011 it was reported that the museum was postponing the show. The Sackler Gallery has received condemnation of the exhibition due to the time-frame and nature of the original excavation of the artefacts; with arguments put forwards about whether the display should be allowed. According to The New York Times, "a group of archaeologists and anthropologists from the National Academy of Sciences — including Robert McCormick Adams, a former leader of the Smithsonian" wrote to the head of the Smithsonian Institution, G. Wayne Clough, on 5 April 2011 claiming that "proceeding with the exhibition would 'severely damage the stature and reputation' of the institution." Proponents of the arguments against display say that the excavation was for commercial gain and conducted so quickly as to have caused a loss of information pertaining to the crew and cargo. :1 The New York Times article goes on to say that further comments were made by "the Society for American Archaeology, the Council of American Maritime Museums and the International Committee for Underwater Cultural Heritage, as well as groups within the Smithsonian, including the members of the anthropology department and the Senate of Scientists at its National Museum of Natural History" all asking that the Smithsonian reconsider the exhibition. There are also claims that exhibiting the artefacts would be against international agreements on underwater excavations. Kimberly L. Faulk, a marine archaeologist and vice chairwoman of the non-governmental Advisory Council on Underwater Archaeology said that, "by proceeding with the exhibition the Smithsonian — which is a research institution as well as a network of museums — would be violating its own set of professional ethics and promoting the looting of archaeological sites." Proponents of the arguments to display the works claim that the excavation was indeed legal as the work was carried out in accordance with Indonesian law, at the request of the Indonesian government, and in accordance with international laws at the time. James P. Delgado, director of maritime heritage at the United States Department of Commerce National Oceanic and Atmospheric Administration, said that "allowing any of the finds from an excavation to be sold betrays the most basic aspects of research" with the New York Times going on to report that, "he [Delgado] wished the Belitung shipwreck had been academically excavated. But unlike some of his colleagues, he said that instead of canceling the exhibition, the Smithsonian could use it to educate the public about the consequences of the commercialization of underwater heritage." Some academics have expressed more definitive support for Tilman Walterfang’s excavation and treatment of the Belitung vessel and cargo. Prof. Victor H. Mair, Professor of Chinese Language and Literature in the Department of East Asian Languages and Civilizations at the University of Pennsylvania, Philadelphia, United States defends the Smithsonian exhibition, claiming that the “educational and historical value of the collection is simply enormous, and those who have called for the cancellation of the exhibition are, in effect and in fact, denying access to the wealth of information embodied in the Belitung shipwreck, both to the lay public and to qualified researchers." Dr. Sean Kingsley, Director of Wreck Watch International reminds that "Wrecks like these should be ‘feel good’ factors at times when the world has very serious and painful natural, economic and civil disasters to contend with" and "it hardly needs stating that no European and American museum collection is whiter than white." ICMM member museums should follow the Council of American Maritime Museums (CAMM) policy and '...not knowingly acquire or exhibit artifacts which have been stolen, illegally exported from their country of origin, illegally salvaged, or removed from commercially exploited archaeological or historic sites' in recent times (ie. since the 1990 full Congress of ICMM)." ^ There does not appear to be any mention of the Indonesian company's name in the media, or on any website. The greatest detail located so far is from the Smithsonian Ethics Briefing guide published in 2011 for the discussions on the cancellation of the exhibition at the Sackler Gallery. 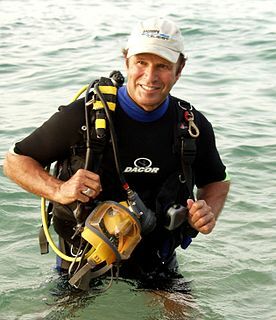 ^ "The preservation in situ of underwater cultural heritage shall be considered as the first option before allowing or engaging in any activities directed at this heritage." 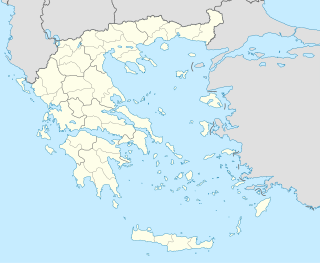 ^ Although applicable to recent excavations, UNESCO's rules were ratified in 2001—two years after the shipwreck had been excavated. ^ a b c d "THE BELITUNG (TANG) SHIPWRECK (9th C.)". Marine Explorations. Archived from the original on 12 February 2009. Retrieved 15 February 2011. ^ a b Worrall, Simon (June 2009). "Tang Shipwreck". National Geographic. Archived from the original on September 1, 2009. Retrieved 15 February 2011. ^ "Belitung Wreck Details & Photos". Marine Exploration. Archived from the original on 1 October 2008. Retrieved 15 February 2011. ^ a b "The Belitung Shipwreck". South East Asian Archaeology. 28 June 2007. Archived from the original on 11 June 2009. Retrieved 18 February 2011. The Belitung shipwreck is located a little too far south. ^ a b c "The treasure trove making waves". BBC News. 18 October 2008. Archived from the original on 11 June 2009. Retrieved 15 February 2011. ^ a b c d e "Media Backgrounder: Discovery, Recovery, Conservation and Exhibition of the Belitung Cargo". Shipwrecked: Tang Treasures and Monsoon Winds. Freer Sackler, Smithsonian Institution. 30 March 2011. Archived from the original on 2011-06-06. Retrieved 6 July 2011. The Indonesian navy was permanently deployed at the base camp during the monsoon and did its best to safeguard the site ... A license was issued to a local salvage company by the Republic of Indonesia’s National Committee for Salvage and Utilization of Valuable Objects from Sunken Ships (PANNAS BMKT), the government agency with oversight authority for sunken vessels and cargo ... The Indonesian salvage company executed a contract of cooperation with Seabed Explorations. ^ a b c Flecker, Michael (1 January 2001). "A ninth-century AD Arab or Indian shipwreck in Indonesia: First evidence for direct trade with China". World Archaeology. Shipwrecks. Taylor & Francis Ltd. 32 (3): 335–354. doi:10.1080/00438240120048662. ^ "Secrets of the Tang Treasure Ship". Archaeology Daily News. Archived from the original on 2011-07-07. Retrieved 24 February 2011. ^ a b c d Geoff Wade (December 2003). "The Pre-Modern East Asian Maritime Realm: An Overview of European-Language Studies". Working Paper Series. Asia Research Institute, National University of Singapore. No. 16: 20. ^ a b c d e f g h i j k l m Flecker, Michael (1 August 2000). "A 9th-century Arab or Indian shipwreck in Indonesian waters". The International Journal of Nautical Archaeology. IJNA. 29 (2): 199–217. doi:10.1006/ijna.2000.0316. ^ John Guy (2010). "Rare and Strange Goods: International Trade in Ninth-Century Asia" (PDF). In John Guy. Shipwrecked; Tang Treasures and Monsoon Winds (Cloth ed.). Washington, D.C.: Smithsonian Institution Press. p. 24. ISBN 978-1-58834-305-5. Archived from the original (PDF) on 2012-09-27. Retrieved 18 August 2011. ^ "Wood identification – Indiana Jones' envy" (Press release). CSIRO. 12 January 2000. Archived from the original on 6 June 2010. Retrieved 18 August 2011. ^ a b c d "SECRETS OF TANG TREASURE SHIP: ABOUT". National Geographic Channel. 2009. Retrieved 8 July 2011. ^ The Jewel of Muscat Project (2009). "Information Part 2". Advanced History. Sultanate of Oman. Archived from the original on 2011-07-08. Retrieved 8 July 2011. In 1998, a shipwreck was discovered off the Indonesian island of Belitung ... Sultan Qaboos bin Said is presenting the people of Singapore with the Jewel of Muscat, a reconstruction of the 9th-century Arab trading ship discovered near the island of Belitung. ^ Simon Worrall (June 2009). "Tang Shipwreck". National Geographic. Archived from the original on 23 May 2009. Retrieved 18 February 2011. ^ "THE BELITUNG (TANG) SHIPWRECK (9th C.)". Marine Explorations. Archived from the original on 12 February 2009. Retrieved 19 February 2011. ^ Flecker, M (1 July 2002). "The ethics, politics, and realities of maritime archaeology in Southeast Asia". The International Journal of Nautical Archaeology. 31 (1): 12–24 . doi:10.1006/ijna.2002.1017. Local divers immediately moved in, sometimes at night, and removed many artefacts. ^ Julian Raby. "Why Exhibit this Material?". Issues Raised by the Belitung Shipwreck. Freer Sackler. Archived from the original on 2011-06-06. Retrieved 6 July 2011. Above all, this cargo was not sold piecemeal but has been kept largely intact. It thus offers unparalleled insight into China's industrial capacity and global trade more than a millennium ago. ^ "Conservation". Tang wreck (Flash). Retrieved 6 July 2011. Seabed Explorations undertook Desalinate and conserve ... This process lasted six years at a cost of several million US dollars. ^ "Shipwrecked: Tang Treasures and Monsoon Winds". Smithsonian Institution. 16 March 2011. Archived from the original on 2011-06-06. Retrieved 28 June 2011. ^ "Geng Baochang". Pacific Hongxu. 6 January 2011. Archived from the original on 2011-07-08. Retrieved 28 June 2011. ^ "Sentosa Proceeds to Buy 9th Century Treasure". Singapore: Sentosa. 8 April 2005. Archived from the original on 26 December 2008. Retrieved 17 February 2010. ^ "SHIPWRECKED: Tang Treasures and Monsoon Winds". Archived from the original on 16 July 2011. Retrieved 5 July 2011. ^ a b "Future Exhibitions". Freer Sackler gallery. Retrieved 15 February 2011. 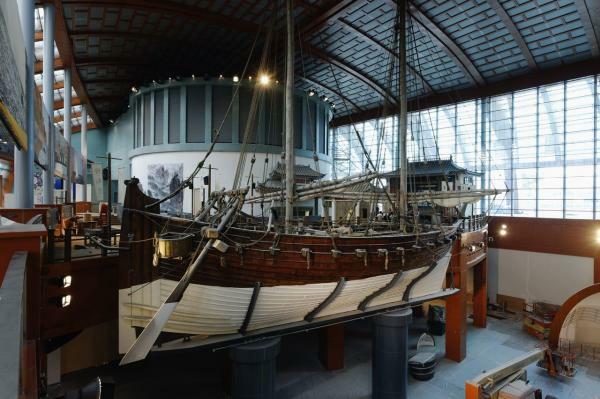 ^ "Asian Civilisations Museum to house Tang Shipwreck collection". Channel NewsAsia. Retrieved 2017-05-08. ^ "Smithsonian and Singapore Organize World Tour of Shipwreck Treasure". Smithsonian Institution. Archived from the original on 27 September 2010. Retrieved 28 June 2011. ^ Kate Taylor (28 June 2011). "Shipwreck Show Postponed". The New York Times. Retrieved 15 July 2011. ^ a b c Kate Taylor (10 March 2011). "Archaeologists Criticize Smithsonian Over Java Objects". The New York Times. Archived from the original on 10 July 2011. Retrieved 15 July 2011. Three archaeological associations and three of the Smithsonian’s internal research organizations have written to the Smithsonian’s secretary, G. Wayne Clough, opposing the exhibition, arguing, among other things, that because of the methods employed by Seabed Explorations, valuable scientific information was lost. ^ a b c d Kate Taylor (24 April 2011). "Treasures Pose Ethics Issues for Smithsonian". The New York Times. pp. 1–2. Retrieved 15 July 2011. ^ Meide, Chuck. "Smithsonian Postpones Controversial Treasure Hunting Shipwreck Exhibit". blogstaugustinelighthouse.org. Retrieved 24 August 2015. ^ "Smithsonian Hosts Discussion on Issues Surrounding the Exhibition of the Belitung Cargo", Shipwrecked: Tang Treasures and Monsoon Winds (Press release), The Smithsonian Institution, 25 April 2011, Found in shallow water, the shipwreck was immediately vulnerable to looting and accidental destruction from fishing activity. Recognizing the danger to the site, Indonesian authorities granted a license to a commercial salvage company to recover the ship and its cargo. ^ a b "Underwater Archaeology Resolutions Adopted by ICMM Barcelona, Spain 10 September 1993" (PDF). International Congress of Maritime Museums. 10 September 1993. Archived from the original (PDF) on 2011-06-04. Retrieved 15 July 2011. ^ a b "Convention on the protection of the underwater cultural heritage" (PDF). UNESCO. 2 November 2001. Archived (PDF) from the original on 11 June 2011. Retrieved 15 July 2011. Wikimedia Commons has media related to Belitung shipwreck. Wikimedia Commons has media related to Artifacts recovered from the Belitung shipwreck. The Archaeology Discover Centre formerly Sunken Secrets, formerly the Underwater Archaeology Centre is a museum located in Fort Victoria on the Isle of Wight, England. The Jewel of Muscat is a ship based on the design of the Belitung shipwreck, an Arabian dhow that was found off the coast of Belitung Island, Indonesia, in 1998 and subsequently salvaged. It was built in a joint effort by the governments of Oman and Singapore and Mike Flecker, one of the people employed by the salvage company Seabed Explorations at the time of the original recovery. ArtScience Museum is a museum located within the integrated resort of Marina Bay Sands in the Downtown Core of the Central Area in Singapore. Opened on 17 February 2011 by Singapore's Prime Minister Lee Hsien Loong, it is the world's first ArtScience museum.